Tomorrow hopes we have learned something from yesterday. 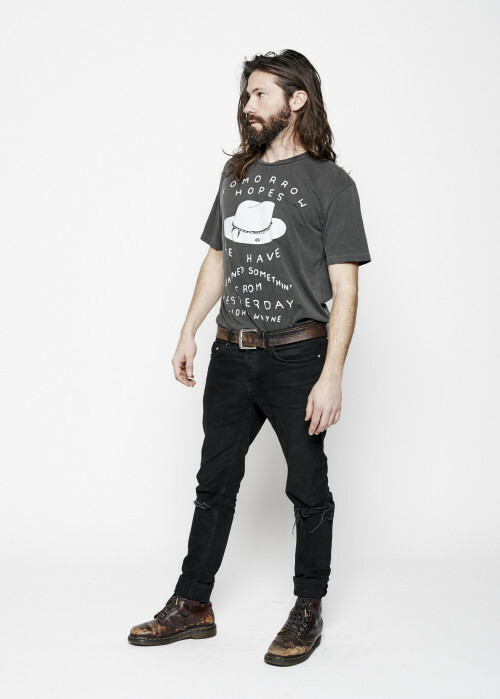 Printed on a vintage black men’s crewneck, this cowboy is 100% cotton with a vintage cut that includes a distressed collar, cut sleeves and hem. Proudly made in the USA and ready for The Alamo.